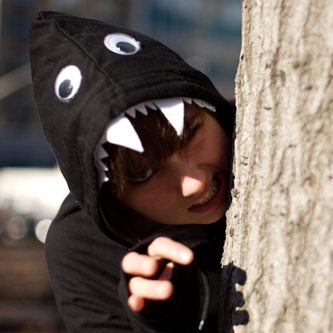 Jen Dunlap and Zach Smith of NYC have launched MonsterHoodies, creating handmade hoodies that turn you into a cute monster. 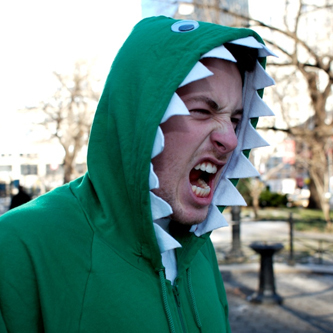 MonsterHoodies come in four designs, Shark Bite, Dinosaurus Rex, Neko Gato & Monster Kun and are now available for preorder, shipping on February 1st. MonsterHoodies is run by Jen Dunlap and Zach Smith. We both live in NYC, and we love things that are disgustingly cute. MonsterHoodies started as a fun weekend project when we decided that our hoodies were just too boring. We wanted to liven them up a little bit, and we came up with the idea of making them look like animals. Specifically, we wanted them to look like scary (but cute!) monsters.